Welcome to the Oracle Alumni Website. This website has the potential of bringing many past graduates the ability to communicate with their classmates who they may have not spoken to in years. It also can aid in the planning or ignite class reunions either by class or by a group of classes. It can reunite teammates, band members, and various other school groups and bring back memories of elementary days, middle school days, and high school days from the playground to the school plays. The most important attribute would be to enhance a feeling of pride and cohesiveness between the school and community. Mellencamp's "Small Town" and Springsteen's "Glory days" express the nostalgia of times past but this website can bring the reality of reminiscing with your classmates about your school years. Attention: St. Joseph School Alumni and Friends. Please let us know if you would be interested in a reunion of St. Joseph's Catholic School in May 2020. May 28, 2020 will be the 50th anniversary of the closing of St. Joseph's and a great opportunity to connect with longtime friends and classmates, tour the school, and share our memories. If you would be interested in attending a reunion, please contact Kathy (Fitch) Hyman, Roberta (Lane) Blue or Jo Ann (Daly) Carr. And please share your ideas for this event. And best of all if you would like to help plan this event, welcome aboard! 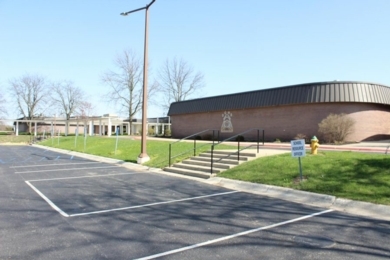 Delphi Community High School is to undergo renovations this summer. Click the picture below to read more about it. Delphi Community Schools are now solar powered! There are 2 solar fields - one behind the tennis courts and one in the Armory yard. Check out the picture below to see WLFI's story about it!